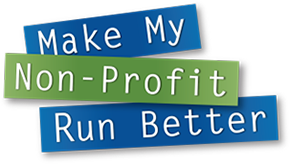 Peoria, Ill. (Sept 29, 2017) – A total of 54 Peoria and Bloomington area non-profits have entered the 12th annual Make My Non-Profit Run Better contest for a chance to win a portion of $60,000 in office technology prizes from RK Dixon. RK Dixon, a leading provider of copiers, printers, IT services, managed print services and pure drinking water systems, is now giving the public a chance to support their favorite non-profit organizations by simply casting their votes online at www.rkdixon.com. The first round of voting will narrow participants to five finalists in each of the “large” and “small” non-profit categories, moving them one step closer to office technology makeovers and equipment packages that are designed to make the non-profits run better and – as a result – enhance their ability to focus on their mission. The first-prize winner in the “large” non-profit category will receive an office technology makeover valued at up to $30,000. The second-prize winner will receive an equipment package valued at up to $10,000. The first-prize winner in the “small” non-profit category will receive an office technology makeover valued at up to $15,000. The second-prize winner will receive an equipment package valued at up to $5,000. The first round of online voting will end on Oct. 5 at 5 p.m. The public may vote for one small non-profit and one large non-profit per day at www.rkdixon.com. The second and final round of voting will begin Oct. 13 and will narrow down the top five finalists in each category to the winning organizations. The winner of the Make My Non-Profit Run Better contest is scheduled to be announced Oct. 26. RK Dixon is partnering with Alpha Media Group for this year’s Make My Non-Profit Run Better contest. For a complete list of registered non-profit organizations, please visit: www.rkdixon.com. For more information about the contest or to receive a high-resolution contest logo, please contact Darren Garrett, APR, marketing manager at RK Dixon, at 563.823.6365.